Occasional L&TM5K commenter gl. had a very brisk birthday party last week -- 36 minutes -- at which Honorable Vice Dork Emeritus Fingerstothebone was kind enough to slip me this item. I show it here because I believe that she was not really giving it to me alone so much as to the entire L&TM5K community. 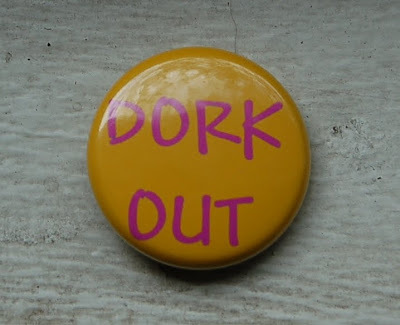 Alone, we are nothing; together, we are Dork. Hey, speaking of birthdays and dorkiness, check it out! I got a European-style boardgame for my birthday! I've never played it, but I've seen other people playing it, and it's so... mappy. And pretty. I bring this up because it's a 3-4 person game, and there are only two of Mrs.5000 & me, unless you count Caliban, and frankly he stinks at strategy games. So, any of you City of Rose people feel like throwing down? Fitness-Type Activities Engaged in this week: Eleven days ago, I did something that always gives me much joy: I created a spreadsheet. In this case, it is a spreadsheet of exercise. And, I think it's working: I've entered a value for distance run or biked for 10 of the last 11 days. Diet-Type Activities: There were lots of celebrations over the last few weeks, but in general I think I've been doing a reasonable job of eating relatively sensibly. Tomatoes: Mrs.5000's garden tomatoes have been ripening! 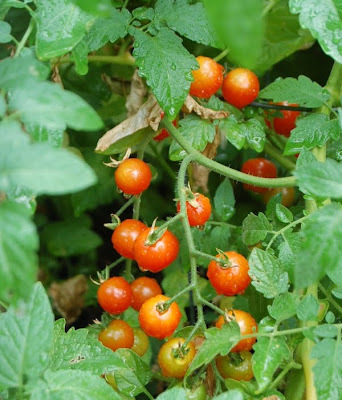 Now, of course I was curious to find out whether every tomato person on the planet was right, and garden-fresh tomatoes are just that much better! And you know, despite my bluster, it certainly seemed likely that such common knowledge would turn out to be correct. Verdict? Well... I will allow that the intensely flavorful garden tomatoes seem not to be, as I had feared, much worse than the store-bought variety. Weight: 206.2 lbs, which is -2.2 lbs from two weeks ago. But, I think I might be a little dehydrated. 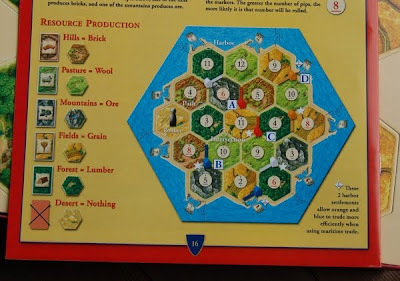 Is Settlers of Catan European? I didn't know that. I will absolutely play with you guys when I get back to the states, I don't totally remember the rules, but I remember it being very interactive. I've got wood for sheep. a couple years ago i had a thanksgiving dinner at my house and two people came who were friends of friends and they brought this game. and proceeded to argue and gritch at each other and everyone else while playing. i concluded that this game is not good for building interpersonal relationships. i hope you fare better with it. 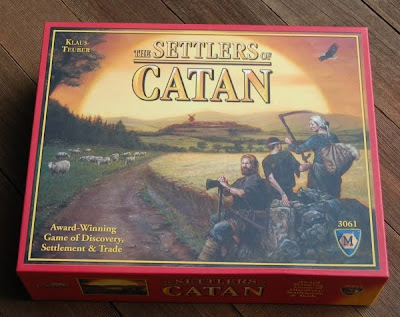 Settlers of Catan is great - I'll play it if I happen to be up your direction! Yeah if you don't like the flavour of store bought tomatoes, I can't really see the flavour of vine-ripened ones working out for you. What do you not like? The slight fuzziness of the taste? The acidity? The Settlers of Catan looks sort of like Carcassonne, which I love. Let me know if it's any fun! I don't think your Microsoft Paint proclivities make you crazy, but your dislike for tomatoes makes me think you ought to be shipped off to the loony bin. Wow! What an awesome birthday present!